The mother is the blue merle Aussie. I’ve seen this cross before, only the father was a cryptic merle black Aussie and the mother a golden retriever. The nēnē (Branta sandvicensis) is actually an offshoot of the Canada goose (Branta canadensis) that wound up colonization the Hawaiian Islands. 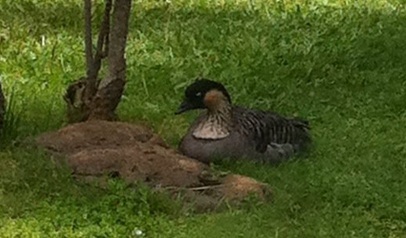 The nēnē is the last surviving descendant of this colonization by Canada geese 500,000 years ago. The nēnē-nui or wood-walking goose and the Giant Hawaiian goose were also derived from this colonization, but they have since died out. The nēnē almost followed them. As a ground-nesting bird, they were vulnerable to predation from mongooses, and their young and eggs were vulnerable to cats. Only 30 were surviving by 1952. Today, about 800 of them live in the wild. One of the people most instrumental in saving the species was Sir Peter Scott (of Loch Ness monster fame), who successfully bred the in captivity in England. He eventually established a breeding population at the Wildfowl and Wetlands Trust preserve at Slimbridge, Gloucestershire, where a large flock of Hawaiian geese still exists today. Birds that were born at Slimbridge have since been reintroduced to Hawaii and have augmented the genetic diversity of the Hawaiian flocks, which was a major concern for the species. For those unfamiliar with the pronuncation, it is “nay-nay,” which supposedly refers to its call. I haven’t heard one before, but I would think they would make a honking sound– as we all know Canada geese regularly do. Well, I guess all that genetic evidence was wrong. Red wolves really are an ancient species after all! And not only does it destroy all that genetic evidence that clearly shows the red wolf to be a coyote with some wolf ancestry, it also destroys evolution. Never mind that any paleontologist will tell you that the earliest dog family fossils date to around 40 million years ago in what is now Saskatchewan. And never mind that any paleontologist worth his or her salt will tell you that there were no modern Carnivorans (as in the order Carnivora) at this time. They were only miacids at this time. Harun Yahya figured all of this out! 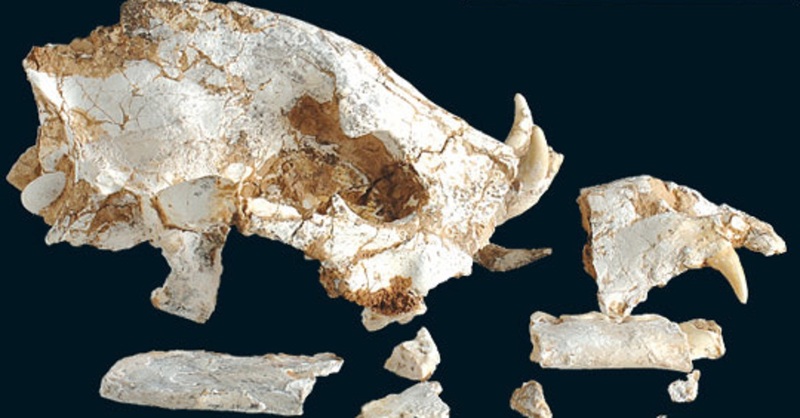 Those sophisticated deniers of Allah’s divine creation would tell you that this skull is probably a Mesonychid or a Creodont, which are actually not ancestral to anything living today. And Mesonychids are more closely related to whales and cows than they are to wolves. Related to whales and cows? What are they smoking? I can be buried ten feet above a hamster; it doesn’t prove we’re related. Any fool can see that’s a bona fide red wolf! It just happened to be found in China, 51 million years before those infidels in the West claimed the last wolves of East Texas and Louisiana mated with coyotes and formed the basis modern red wolf. 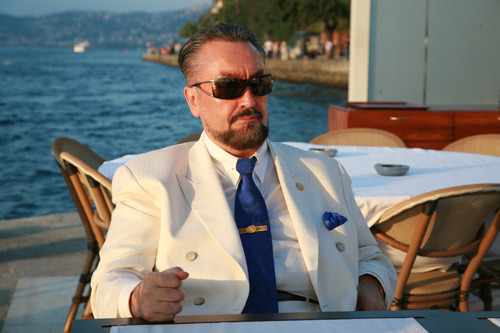 His real name is Adnan Oktar, and he is Turkish Islamic creationist. Unlike Kent Hovind and Ken Ham, he is an Old Earth Creationist. That means he thinks the earth is as old as science says it is. He wrote this book called The Atlas of Creation in which he shows all of these purported ancient fossils of modern species. The above “red wolf” is just one of many dubious claims he’s made. 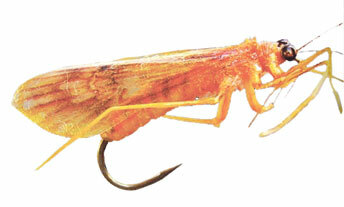 I’ve never seen a live caddis fly with one of those. If you look closely, you can see a hook. I can’t figure out what the purpose of that hook is. Is it a strange ovipositor? However, if it were going to use that fly as a fishing lure, it would come in handy. That is a fishing lure! So if this guy is trying to promote lures of living flies, does that mean he’s dumber that trout? And if he’s that dumb, how do we know that this “red wolf” is actually 51 million years old? But the whole thing is just so dubious and bizarre that one would worry about its validity right away. Of course, not everyone is so skeptical. If you want to see what his followers do with his work, just check out the youtube videos that are based upon The Atlas of Creation. The production quality is just so campy. Harun Yahya is somewhat scandal prone. He’s been in prison in Turkey a few times, and he got Richard Dawkins’s website banned in Turkey a few years ago– and then sued Richard Dawkins. 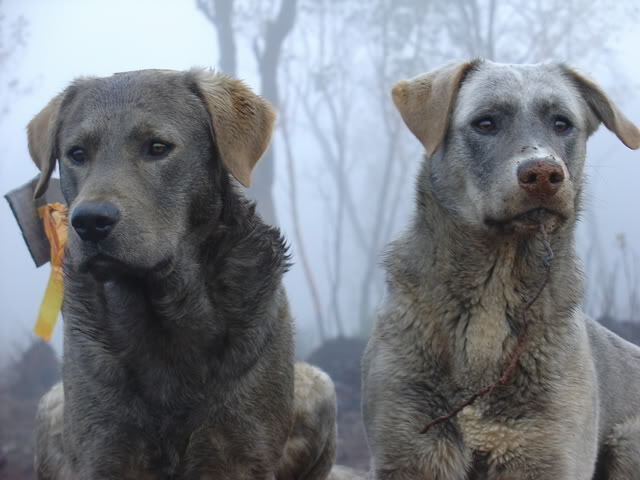 The dog on the right is a cross between a low content wolf dog and a Labrador. 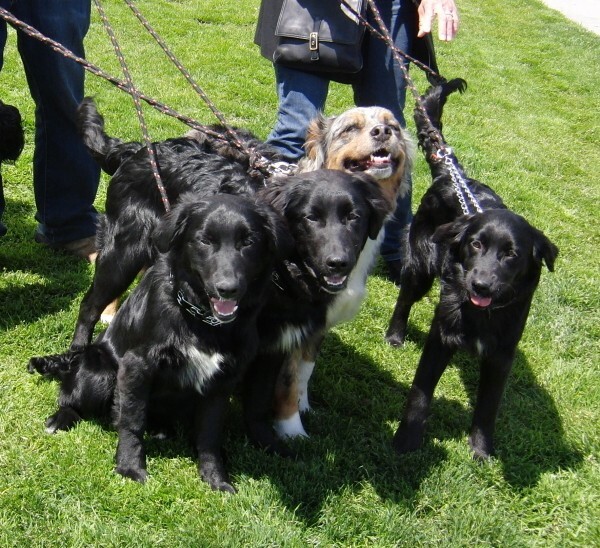 The dog on the left is his son, produced through mating with a black Labrador mix. My guess is the majority of the litter were black, but this one wasn’t. There also had to be a gene for the black mask in the Labrador mix mother. NB: I use the term “wolfdog,” rather than wolf hybrid. 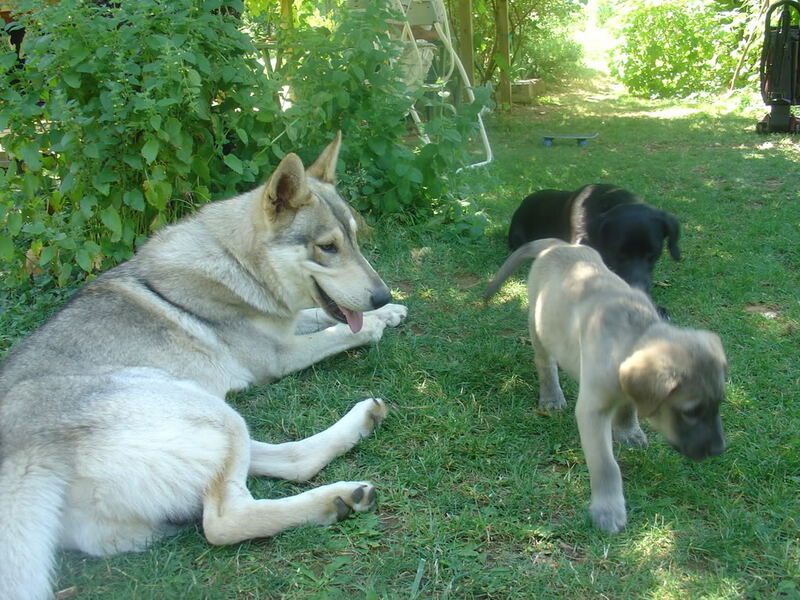 Dogs and wolves are part of the same species, Canis lupus, and can’t technically be hybrids. However, crosses between dogs and coyotes and crosses between wolves and coyote would be hybrids. 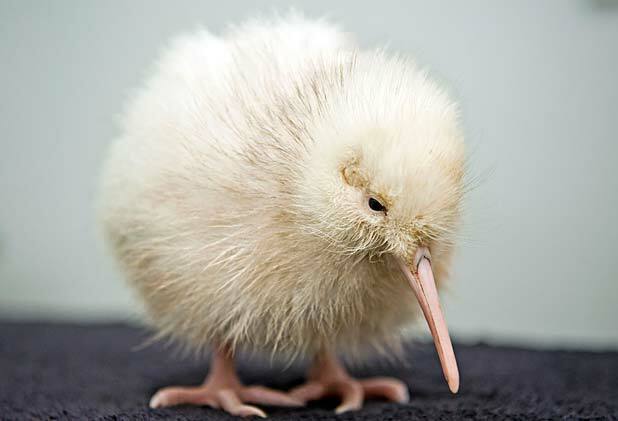 A rare white kiwi chick has been born – the first to be hatched in captivity. The chick, named Manukura, is not an albino but the rare offspring of some North Island brown kiwi from Little Barrier Island. He was born at the Pukaha Mount Bruce National Wildlife Centre, 24km north of Masterton, on May 1, weighing approximately 250 grams. The Little Barrier Island kiwi were transferred to Pukaha in May last year. Elders from the Rangitane o Wairarapa iwi gave the chick his name, which means “of chiefly status”. Rangitane chief executive Jason Kerehi said tribal elders saw the white chick as a “tohu” or “sign” of new beginnings. Manukura is being hand-reared in Pukaha Mount Bruce’s new kiwi nursery. He will remain in the nursery until the end of May, where visitors can view him in his nocturnal brooder box and at his daily weigh-in at 2pm. The white chick will then remain in captivity with other chicks at Pukaha for at least four to six months. When it is old enough to protect itself, it could potentially be released into the sanctuary. Department of Conservation (DOC) rangers, who manage the kiwi programme at Pukaha, will ensure the best interests of the bird remain a priority. “A white kiwi might really stand out making it more vulnerable,” said DOC area manager Chris Lester. So they are releasing it. I don’t know if that’s the wisest move. It won’t last long– that’s just my guess. 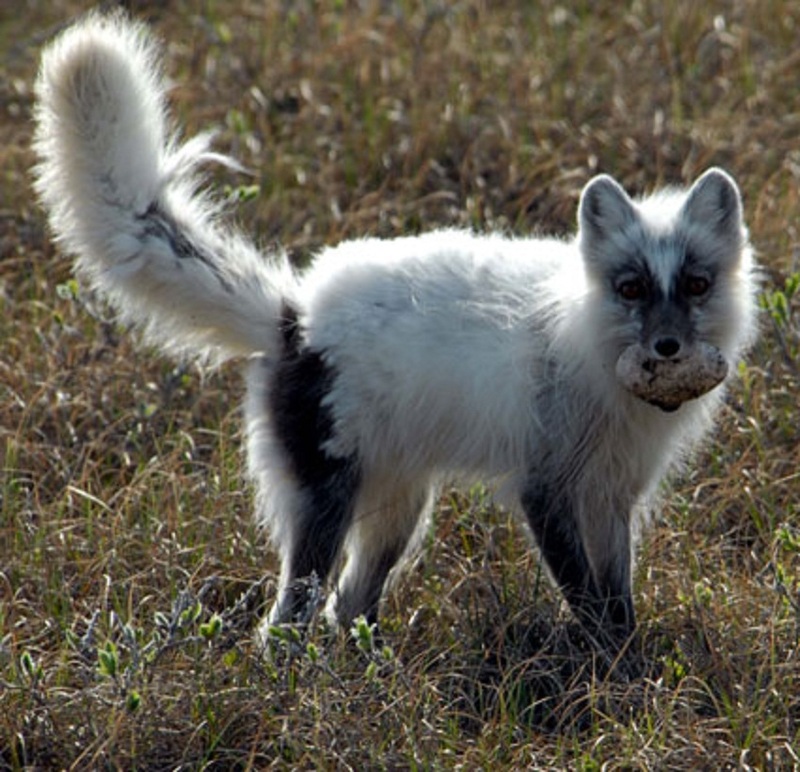 Arctic foxes look very strange when they start to shed out. If you look closely, you’ll notice that these black bears are not American black bears. They are Asiatic black bears that have had their manes trimmed back. Of they are hybrids between Asiatic and American black bears. Asiatic black bears were more commonly used in circuses and Hollywood because they were more docile and easy to train. Of course the narrative is a bit off. American black bear sows with cubs are among the least dangerous of bears. A female black bear may defend her cubs, but all she will likely do is take a nip or a swat. It’s the male bears that actually prey upon people that should be of greater concern. Nearly all fatal attacks from American black bears involve predatory behavior from males, as this recent study confirmed. Yeller likely didn’t save Arliss’s life, but he did save him from a nasty bite or scratch.